Looks like a steal to me! It’s a 2 liter bottle of soda you retard. 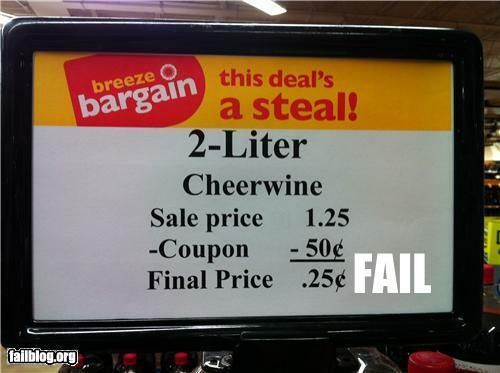 It’s probably not bad math – they probably have a coupon doubling policy for coupons under a dollar like many grocery stores.